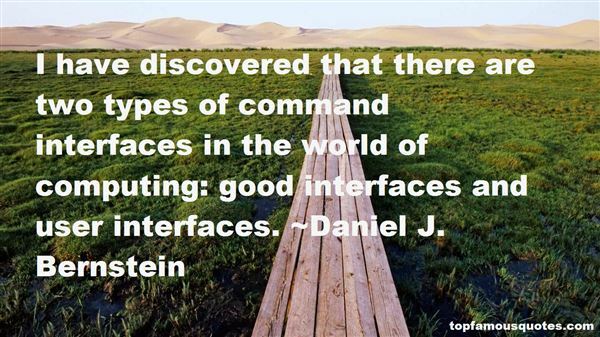 Reading and share top 9 Daniel J Bernstein famous quotes and sayings. 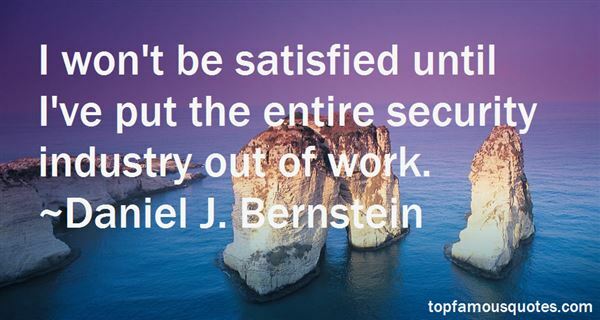 Browse top 9 most favorite famous quotes and sayings by Daniel J Bernstein. Where am I going to grow a garden in a penthouse? ""Next time I visit I'll fix you up a spot in one of the corners. You won't even know it's there until its time to harvest.""Wonderful." But then it occurred to her. "Jenny, next time you visit?" "What? What is it?" Jennifer asked. Christine half stuttered. "You have never been to my penthouse.""Really?" Jennifer thought back when something came to mind. "Well, what was that great big building we went to the last time we visited? You know, we went all the way to the top. ""That was the Empire State building. ""No fooling? Huh, what do you know? Well you should move in there, it was beautiful as I recall." "You can't move into the Empire State building." "Oh, that's right," Jennifer soon realized, "those mean terrorists tore it down. My, that was just awful." 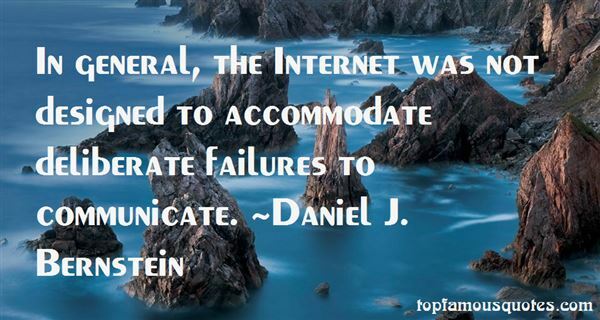 What Did Daniel J. Bernstein Talk About?